TOP LINE S.A. transports and distributes new, used and for hire cars. The transportation of the vehicles is carried out by ultra modern Mercedes Actross, to Euro 6 specifications, auto-carriers, equipped with superstructures by the Austrian firm Kassbohrer and connected on line with satellite surveillance system, so that both we and our partners know at any particular instant the position of the vehicles being carried. 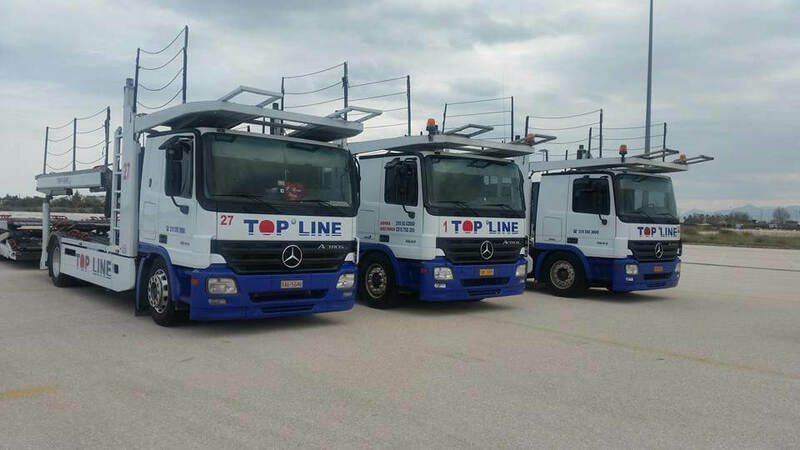 TOP LINE S.A. provides flexibility in transporting and delivering cars, by owning small car transport trucks that can transport 2-4 cars and serving most qualifying services to our clients.